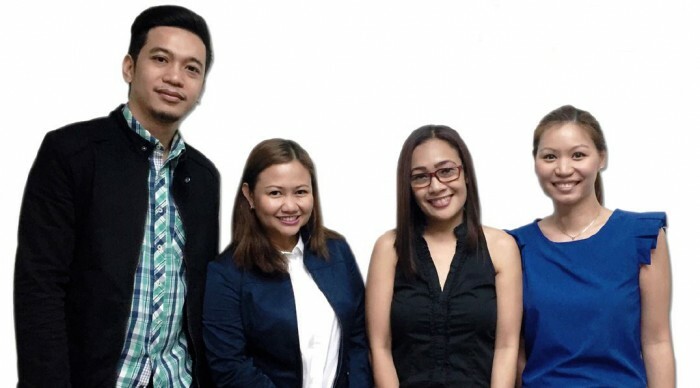 Ambient Digital Philippines (ADP) has appointed three senior roles; Sandra Go, Associate Planning Director; Manuel Cajumban, Senior Sales Manager; and Guada De Los Reyes, Senior Sales Manager. In addition, ongoing staff member Toni Lalinde has been promoted to Senior Sales Manager, in recognition of her consistently excellent sales performance. Sandra Go comes to ADP with a wealth of experience in digital media planning at top media agencies across Singapore and Philippines. Her background includes business management and channel planning with PHD Singapore, and media planning with Neo@Ogilvy Singapore and Mediacom Philippines. In this newly created role, Sandra will be responsible for providing strategic planning direction for all of ADP’s clients, working closely with our agency partners. With a track record of excellence in achieving company targets, Manuel Cajumban has extensive experience working with multinationals in business development and client satisfaction. Manuel comes to the Senior Sales Manager role at ADP with 8 years of sales and digital experience, working for a number of well-established and recognised companies in the Philippines. Guada De Los Reyes has over 6 years of progressive experiences in several industries, including technology, aviation, gas and petroleum, with expertise and an in depth understanding of Ad Ops, Rich Media and Customer Service garnered managing major global media accounts. Guada’s corporate focus, results-driven attitude and strategic thinking will be a true asset to the role of Senior Sales Manager, in which she and Manuel will work across major client assignments. Joining them in a Senior Sales Manager position is Toni Lalinde, who has been with ADP since July 2014 and has displayed the drive, commitment and passion required of a senior manager. This promotion recognises Toni for her contributions to the success of Ambient Philippines. Matt Robinson, Chief Operating Officer of the Ambient Group and Acting Country Head for ADP, said, “These hires reflect Ambient’s continued growth in the Philippines. We are not only committed to growing our own business in this market but to cultivating the digital media sector in general. The fact that we can attract candidates of this calibre demonstrates that ADP is going from strength to strength. I insist our employees are schooled in providing a great client experience and in Sandra, Toni, Manual and Guada – as well as our existing Sales people – we have created a team dedicated to doing just that. While advertisers have been quick to embrace the benefits of programmatic trading, many publishers still hold some reservations d.. The Singapore-brewed beer wants to inspire Singaporeans to make connections with the ones who matter, doesn't matter where they ar..